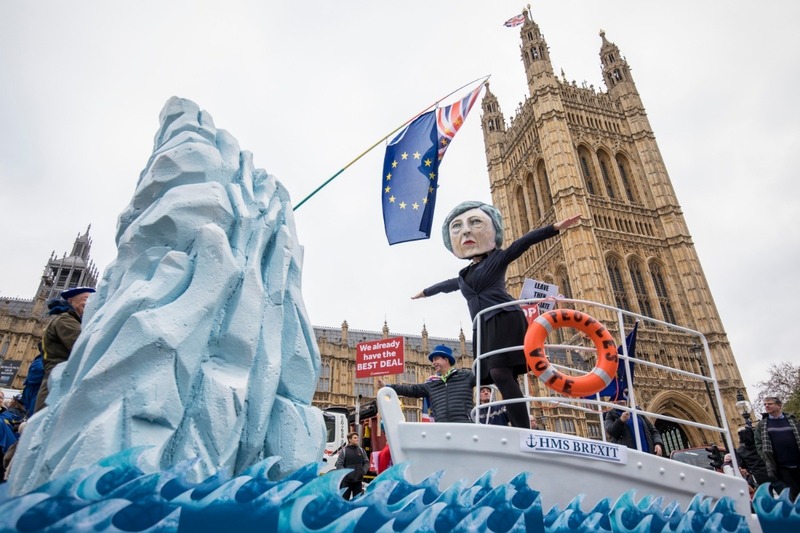 Fundraiser by Best for Britain : Don't let May sink Britain! Don't let May sink Britain! MPs defeated the government's deal for a SECOND time - by 391 votes to 242. This amazing result came after a huge campaign, Best for Britain supporters sending tens of thousands of emails, letters and postcards to MPs. Next the government has promised MPs votes on No Deal and extending Article 50. There are just 17 days to the 29th March Brexit deadline. We have never been so close to the brink, and never so close to stopping this Brexit mess. Your help is needed. Help us take No Deal Brexit off the table. Help us get that extension to Article 50. Help us win. DON’T LET MAY SINK BRITAIN!! We're a step closer to getting No Deal off the table, and those who want Parliament to take control of the shambolic Brexit process will keep fighting. In TWO WEEKS’ time MPs vote again- we have a fortnight to ramp up the pressure to stop Brexit. We have come so far - help us get over the line. WE NEED YOUR HELP AGAIN TO WIN THIS FIGHT. 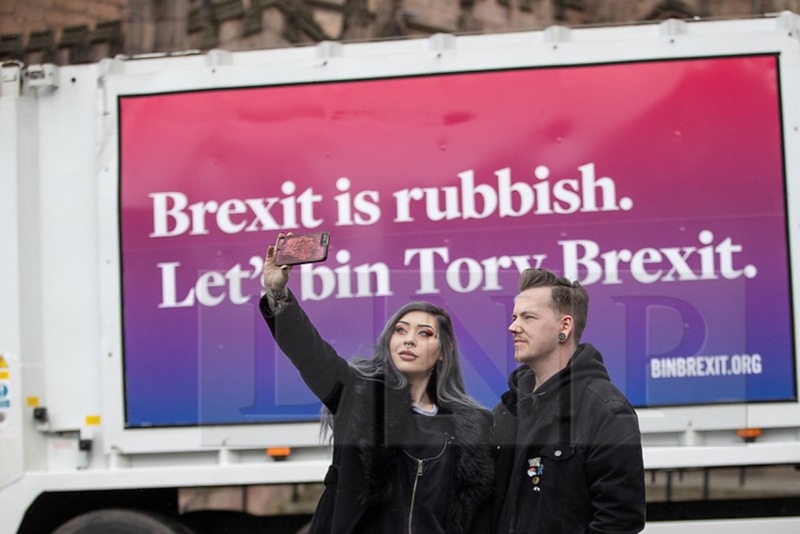 We have never been closer to beating Brexit. But we need money to fund action in key constituencies, connect our supporters with MPs, deliver innovative campaigns, support our amazing partners, street-by-street campaigning, and MORE. Please help us and give what you can - only two weeks to the next Parliament push and two months to stop May sinking Britain! - £10,000 means we can put on events around Parliament pressuring MPs to stop Brexit. We need your help right now - please help with whatever you can afford and help spread the word. You are part of stopping this Brexit mess. We have already worked to train over 3000 activists all over the country; delivered over 300,000 postcards for MPs to neighbourhoods across the UK; partnered with the amazing Tech for UK to build resources for the whole movement like www.myeu.uk. We have also campaigned for EU Citizens' rights to be protected and for them to be able to vote in a Final Say referendum. Now is the time to help us. We need to fight to save our country from the Titanic disaster of Brexit. With your help we have reached voters in every constituency on social media; and we have briefed MPs on our research and we've helped shift the national debate. It’s more important than ever before that we can afford to campaign at full capacity. Thanks for all you have done, and all you will do. We're so close. We will fight until the end and take every opportunity on the way to fight Brexit. Eloise, Deborah, Naomi, Pranay, Cary, Mia and the rest of the Best for Britain team. WE CANNOT THANK YOU ENOUGH! You've helped us smash through the £100,000 barrier this week and with just 4 days to go until MPs next vote on Brexit, we've been using it to campaign EVEN harder, with thousands and thousands of people contacting their politicians and asking them to vote down the deal. PLEASE KEEP SHARING this crowdfunder. Together, we're making a difference, and getting closer and closer to stopping Brexit. As you may have seen in today's Times newspaper, Best for Britain has exclusively uncovered more of Operation Yellowhammer’s plans. We have uploaded exclusive leaked documents here for you to see what we're up against - we have to stop this disaster. Please help us fight Brexit and stop May sinking Britain! Today's donations have made a huge impact on our ability to do much more campaigning next week in the run up to the votes expected on the 14th February. THANK YOU FROM ALL AT BEST FOR BRITAIN! Please keep sharing this page with your friends.